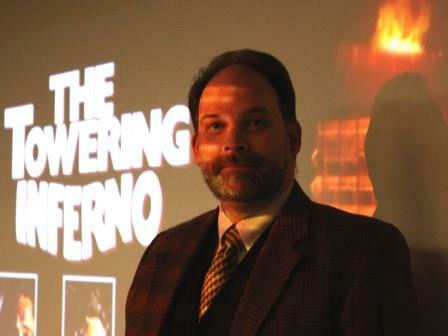 BRANDON, MB – Disaster movies, from the 1930s to today’s blockbusters, will be the topic of a new course at Brandon University (BU). Disaster Movies: Fact vs Fiction will explore the science and the myths portrayed in epic productions including Towering Inferno (1974), Twister (1996), and Contagion (2011). Lindsay says disaster movies have been shaping public perceptions since the earliest days of film. In Old Chicago (1937) is a fictionalized account of the great Chicago Fire of 1871, and San Francisco (1936), a musical based on the city’s 1906 earthquake, became the top-grossing film in the year of its release. Disaster Movies: Fact vs Fiction begins in September, 2014. For more information or to register, please visit www.brandonu.ca/registration/. A similar course, Images of Disasters in Film and Media, has been offered since 2001 at the University of North Texas, and is recognized by the Federal Emergency Management Agency (FEMA).